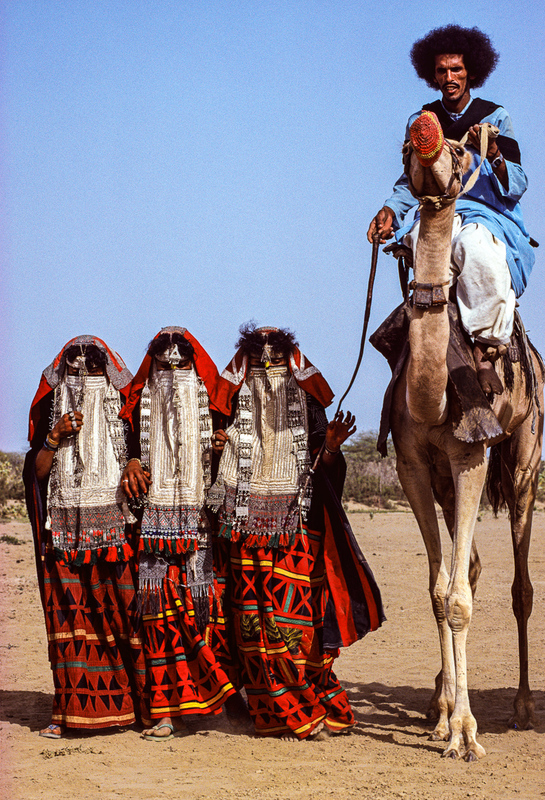 Accompanied by his three wives, a Rashaida man arrives on camel for the wedding of a friend. Islamic tradition permits a man to marry as many as four women, depending on his ability to support them. A woman may divorce her husband after seven years, but her family must return the dowry.